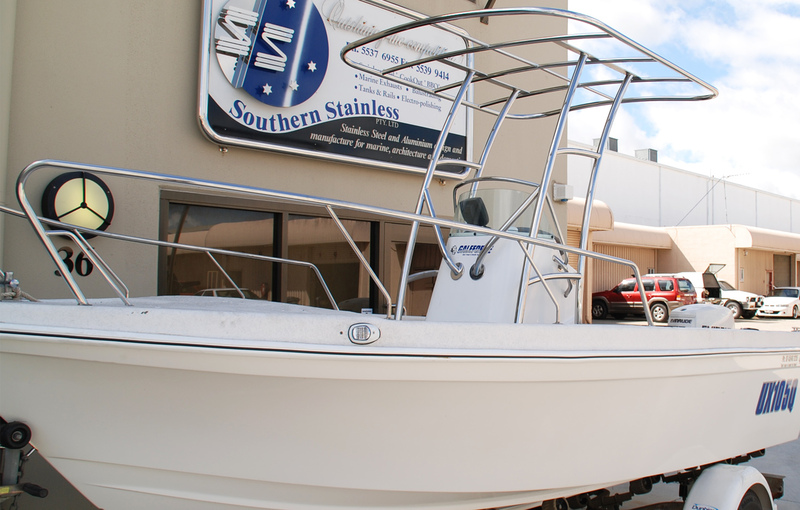 All our stainless Bow and Grab Rails are custom fabricated to suit your specific vessel requirements. For each job one of our team members will measure and template your vessel to ensure a perfect fit. All Bow and Grab Rails are made from high quality 316 marine grade stainless steel. All our Bow and Grab Rails are custom fabricated to suit your specific vessel requirements, for each job one of our team members will measure and template your vessel to ensure a perfect fit. All Bow and Grab Rails are Australian made and built at our Gold Coast manufacturing facility in Ormeau, Queensland. We service all of South East Queensland. however if your installation location is not located in South East Queensland, we can recommend to you a qualified and reputable installer. Our Bow and Grab Rail tube diameters range from 25mm to 50mm and can be customised to suit. All our Bow and Grab Rails can also incorporate Mid Rails, which can be either wire or tube rails and can include Fender Baskets. All our Bow and Grab Rails come with a 12-month warranty. 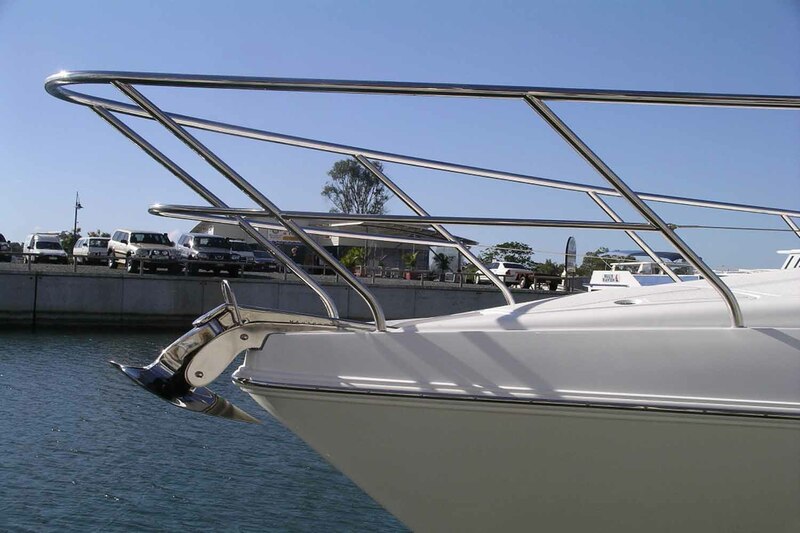 Bow Rails not only act as safety devices to prevent people from falling, they also add to your vessels appearance. All Bow Rails are curved and manufactured to complement the curves of your vessel. All our Bow Rails are fabricated by hand and because of this we do not use off the shelf fittings, giving your Bow Rail a more seamless appearance. Grab Rails can be installed anywhere on a vessel to increase both the safety and your confidence, as you move around your boat. Grab Rails are commonly installed on either the inside or outside of a cabin, allowing you to easily and safely move from the aft to the bow of the vessel. All our Grab Rails are custom made and can either have a electro or mirror polished finish. Have a question or query about our Bow or Grab Rails?